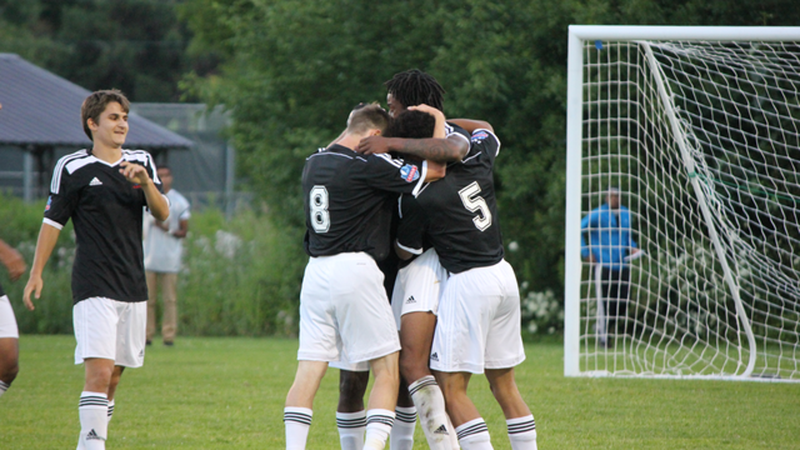 Faced with a must-win game, Master's FA Saints let their feet do the talking and earned a 3-1 League 1 Ontario victory over Durham United FC on Friday night. 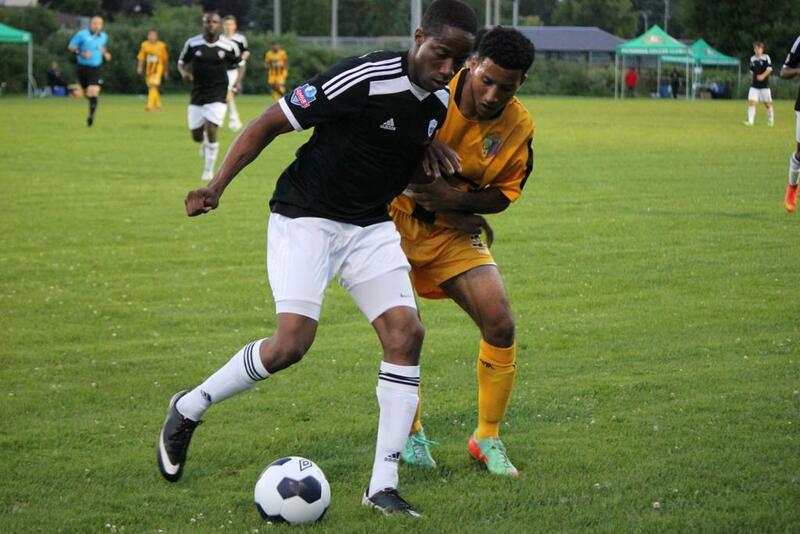 The match at Pickering’s Kinsmen Park featured plenty of talking, and not as much talented play, by Durham United, who were coming off a fine 5-0 Cup thrashing dished out earlier in the week to Kingston's Cataraqui Clippers in Oshawa. But, on Friday, Durham’s players spent much of the match questioning the ref’s calls and squabbling with each other. This distraction opened the door for Leshon Woods-Henry, Alex Dimitriu and Louis Jordon Brazil to find the back of the net for Masters, with only a single reply from David James for Durham. Master's Dimitriu even missed a second-half spot kick, or the win could have been more lopsided. Master's coach Andrei Savelev, a Russian native, said he tries to get his team to play under control, and urges his players to not get caught up in talking to the ref. “Every coach, every referee, every player talks too much. We need to play, it’s like a celebration to play a game. Why talk? Everybody makes mistakes,” said Savelev. He added the win, was “our job” to achieve. Masters had struggled to earn wins coming into the match, so the road result was welcomed by the players. “This is probably one of our best games until now. It’s a good league with good teams. The main thing is getting the win. I hate losing, we came out with heart, passion and played with everything we could,” said Brazil, 23, who is about to head off to St. Thomas University, a campus of the University of Miami, Florida, on a soccer scholarship. The Brazilian-born Brazil played elite youth football in his native country, competing against the likes of Barcelona and Brazilian superstar Neymar, and with standout side Flamengo. The triumph vaulted Masters into a sixth-place tie with Durham in the nine-team league table, with both clubs on ten points, though Masters has played twelve matches to Durham's ten. The clubs are three points behind fifth-place Windsor. Durham and Masters both have big challenges on Sunday as they play the top two teams in the league. 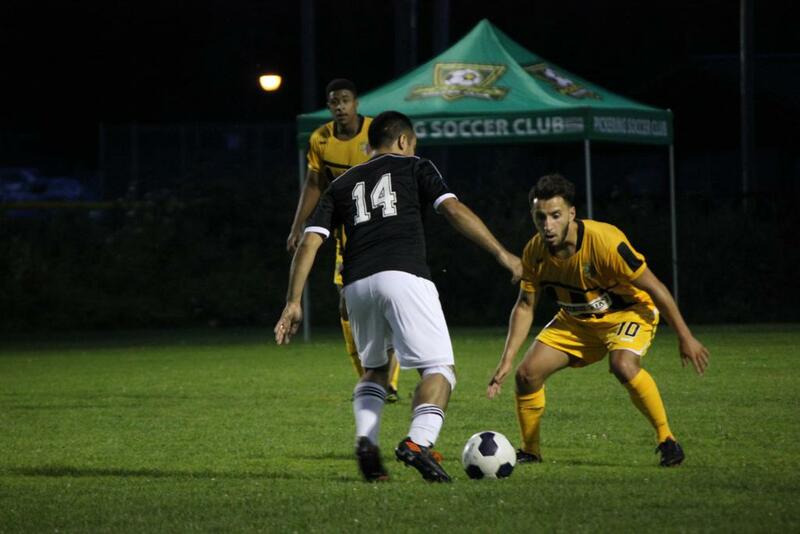 Masters heads to the Kia Training Ground in Downsview Park to play Toronto FC Academy at 1 p.m. For Durham, it’s a 4 p.m. start at the Ontario Soccer Centre at Hwy. 7 and Martin Grove Road, where the opponents are Vaughan Azzurri.